Movement attracts attention. Promote your brand and process with vibrant visuals. 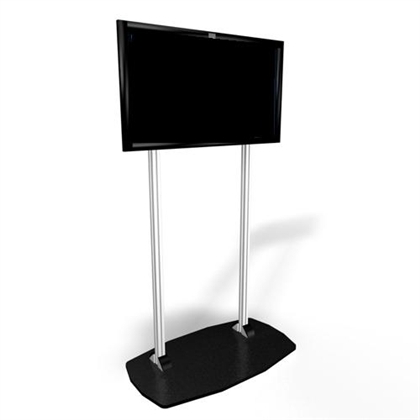 These stands support a variety of flat-panel TVs and monitors. Lockable counter made of durabable aluminum extrusions and rigid, plastic sintra panels. 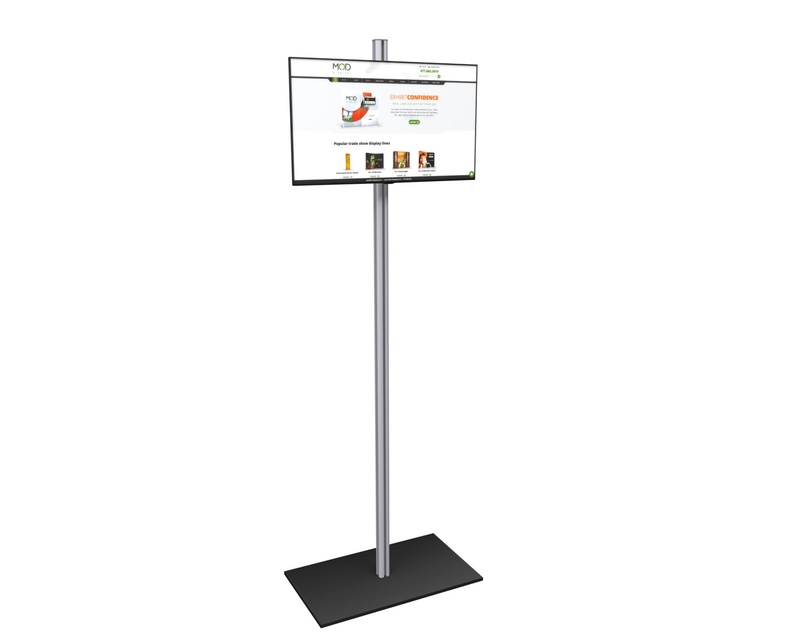 Provides a large monitor mount and a secure area for storing valuables with optional graphic printing on the panels. 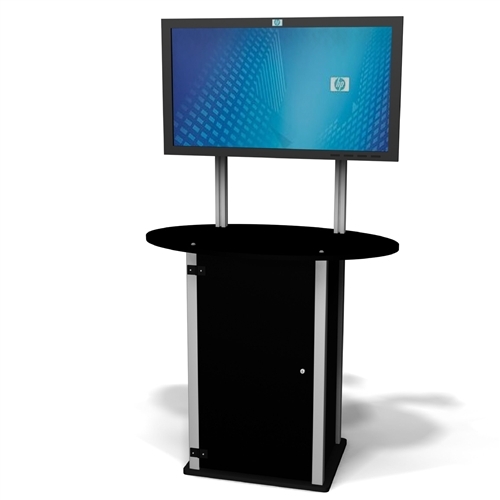 Standalone TV & monitor stand capable of holding up to a 50" monitor, featuring a shelf in back to support a dvd player or laptop and printed graphics on the front. Standalone monitor stand capable of holding up to a 50" monitor, featuring a shelf in back to support a dvd player or laptop. 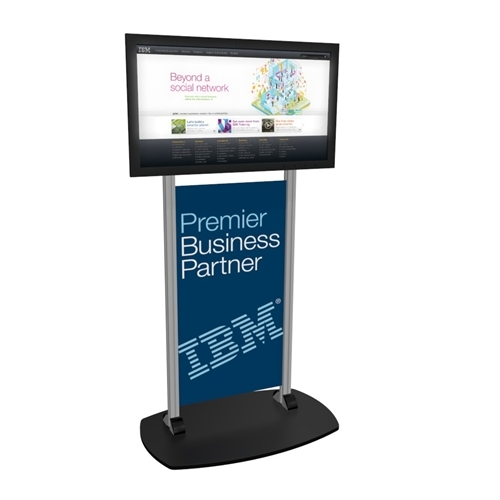 Freestanding large monitor display that allows for printable stand and header graphics. 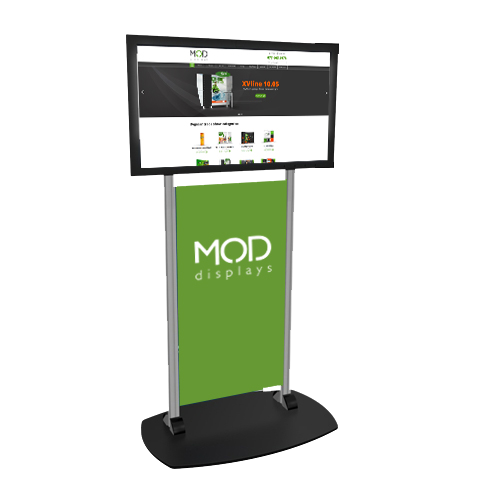 Can support up to a 52" monitor and ships in a hard case that can convert to a counter with the upgrade to a graphic wrap. Freestanding TV/monitor stand designed to hold up to 43" monitors. 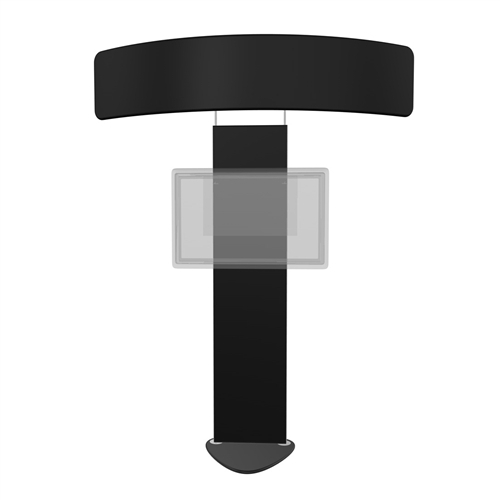 Featuring varying heights and a universal TV/monitor mount.